Microneedling is a minimally invasive anti-aging procedure that rejuvenates the skin and treats wrinkles. Rejuvenates skin & Treats Wrinkles. It can also be used for hyperpigmentation, scars, and stretch marks. The procedure is performed with a handheld device that is attached to a disposable head with multiple tiny needles to create small punctures on the superficial layers of the skin. The goal of microneedling is to stimulate collagen, improve tissue oxygenation, and also to facilitate the removal of waste product from the tissue. 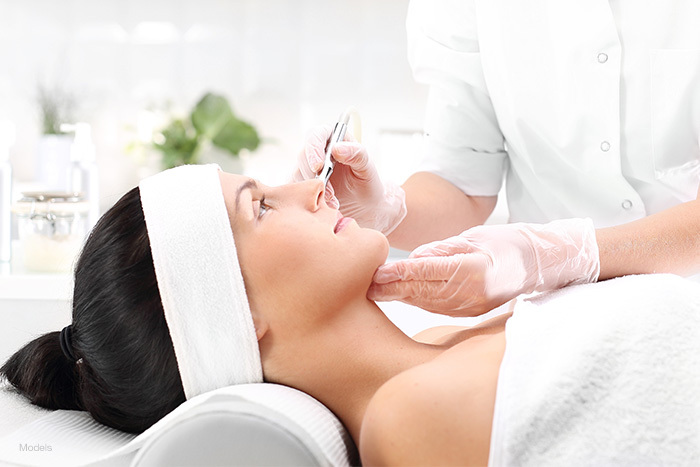 The result of microneedling can be quite dramatic with improved appearance and skin texture. A typical procedure takes about 10 to 15 minutes. The handheld device and needles are advanced and automated; therefore, no pain is felt during the procedure. At Sand Institute, we use prepared growth factors from stem cells with microneedling for superior results. Microneedling can also be used with one’s own growth factor called plasma facial or platelet-rich plasma (PRP) by taking small amounts of the blood and spinning it in a centrifuge. The platelets in the blood will release their growth factors in the plasma, which can then be used for the microneedling procedure. Microneedling is a quick procedure with no downtime and your daily routine can be resumed immediately following your treatment. Some mild redness right after microneedling is normal and will disappear within a few hours.